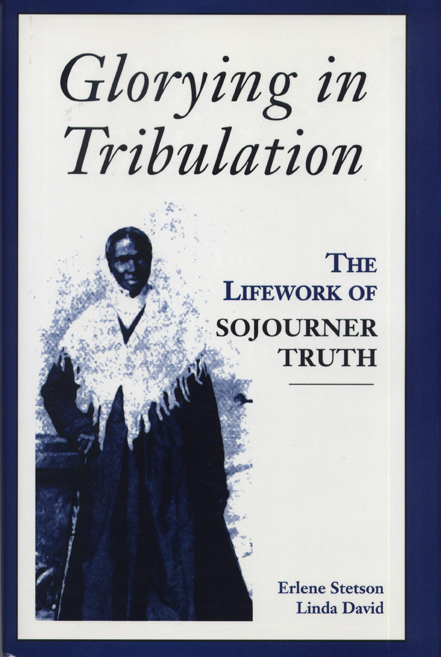 In Glorying in Tribulation, Stetson presents a new dimension of Sojourner Truth's character. Much of the information regarding this oft-quoted African American woman is either the stuff of legend or is in dispute. This important new biography takes both legend and fact and sets them into a larger historical context. The authors utilize archival sources, and other forms of direct and indirect evidence to create a better understanding of Truth. We see her victories as well as her defeats--we see her as a real person. Truth comes alive in the pages of this book through her poignant, prophetic words and we realize that what she spoke of in the nineteenth century is just as relevant to us today. Glorying in Tribulation offers students, scholars, and teachers of American history and culture studies a comprehensive look and a new perspective on Truth's contribution to American history. It is a long-overdue, exciting interpretation of the meaning of Sojourner Truth's life. Erlene Stetson was Professor of English, Indiana University. Linda David is an independent scholar from Bloomington, Indiana.